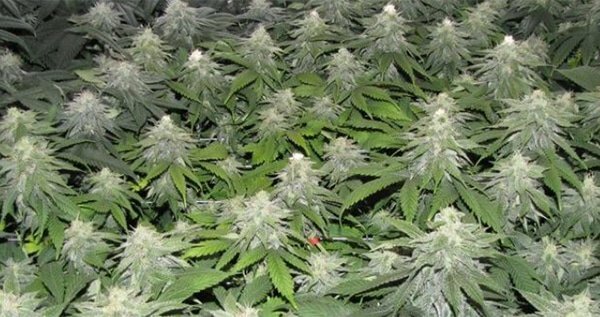 Monster cropping is a powerful method of creating huge buds from flowering cannabis plants. Also known as Flowering Clones, it’s not as popular as other training techniques but it often leads to remarkable harvests. By taking the budding clones and putting them back to vegetation, we create a bunch of plants with more colas. Thus, its name is an apt description of what to expect when we practice it. In monster cropping, that’s exactly what we’ll get: gigantic plants that produce monster buds. While it leads to successful results outdoors, monster cropping is even more useful in the grow room. As any indoor cannabis grower knows, it’s tough to maximize every inch of space and light in an indoor setup. Most of the time, the plants don’t get equal amount of light, so some would be flowering while others are still vegetating. To combat this problem, it makes sense to grow cannabis plants that are already in the same stage of the flowering cycle. As such, instead of just one mother plant hogging the light and air, they will be optimized by several clones. Additionally, the cloning process boosts their energies to grow long side branches and produce more THC. As a result, we get bushy plants that create huge delicious buds. To get the best results, the right knowledge is necessary as well as a bit of growing experience. So, in this article, we will discuss everything there is to know about monster cropping. Once we understand the basics, we can apply this method with confidence. It’s not typical to take clones from flowering cannabis and many experts would even say that it’s not a smart move. However, growers who try it enjoy enormous results, and the science behind it checks out. Before we start taking clones, it’s best to read up on the procedure to avoid mistakes. Basically, the process is the same except that in monster cropping, we take the cuttings while the plant is budding. But first, let’s look at some vital information to help us understand more. Monster cropping can cause considerable stress to the cannabis plant. Cutting good parts of it to grow the clones places a huge burden on its overall health. If not done right, it could weaken the plant and even cause it to stop growing. Interestingly, if done properly, the effects of stress can be beneficial to the plants as it can trigger the development of desired traits. This includes the more vigorous growth of leaves and branches as well as more nodes and bud sites. 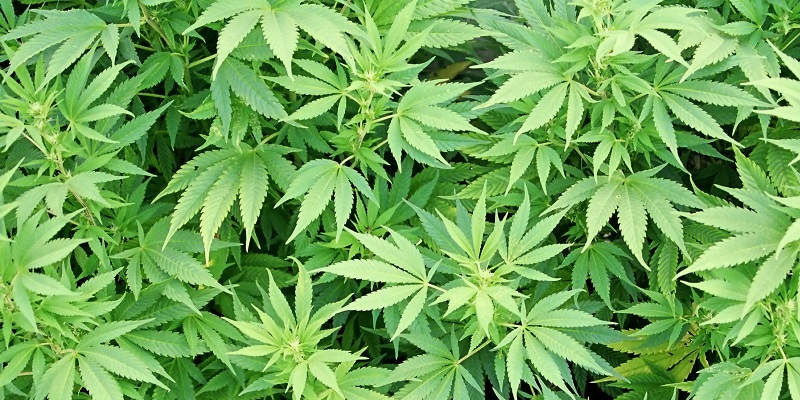 Best of all, experts believe that the stress response of cannabis plants is to release high levels of THC. And this is why training techniques often produce high-quality weed. Unfortunately, due to the trauma on the plants, monster cropping is suitable only for regular photoperiod strains. Even so, they need enough time to recover from the damage. Luckily, regular strains have long life cycles which help them get more time to heal and finish flowering. However, auto-flowering varieties require only a few weeks to grow which is not ideal for cutting out clones. Hence, it’s better not to apply high-stress methods like monster cropping on them. On the other hand, they can handle all kinds of low-stress methods like LST, ScrOG, and super cropping. When doing the procedure, always use clean and sharp scissors to reduce any chances of infection. In fact, some growers go to the extent of sterilizing their cutting tools. This is vital to help the plant heal easily from the damage and the clones to root successfully. Of course, we also need a container with clean water to soak the stem of the clones and make it root. Now that we have the essentials, it’s time to learn about the steps. In this section, we will demonstrate how to execute monster cropping correctly. The best time to cut some clones is when the marijuana plant is about 3 weeks into the flowering stage. But it’s also okay to take them later as this won’t affect the outcome. When choosing which parts to take, go for the lower branches as they tend to root faster than from the ones on the top. And cut diagonally across the stem so there’s more surface for nutrients and water to get in. Additionally, it will provide more surface for the roots to grow. When planning how many clones to take, keep in mind that not all of them will survive. Due to some unforeseen variables, some clones will just not sprout new leaves. So, it’s wise to keep a balance between how much to take and how much to leave for the donor plant to still produce a decent harvest. After taking the clones, place it in a glass of water and let it sit there for some time. This will ensure that no air seeps into its fragile vascular system. Otherwise, the clone will suffer from a fatal condition and all our efforts will go to waste. To get the clones back to the vegetative state, simply utilize the light schedule for that stage. Depending on what we prefer, we can choose 18/6, 20/4, or 24/0. And don’t worry about the light’s intensity since the clones don’t need much to survive. Just be sure not to disturb the buds on the clones or they will stop growing. To maximize the product of our hard work, we can combine monster cropping with the ScrOG method. To any serious cannabis grower, this makes a lot of sense as ScrOGging is easy to apply and highly effective. For sure, this combo will create heavy branches of monster buds in the shortest time. TIP: Learn more about this method? Download my Grow Bible for free now! When it comes to training methods, monster cropping may not be the most popular or common, but it sure offers amazing results. As such, we get several clones that grow great buds at the same time with the donor plant. So, it’s a great way to get an endless supply of superior weed. To make monster cropping work, it’s important to focus on each step so we can avoid errors. Moreover, this method requires a lot of work, so commitment to the craft is essential. But once we see the stunning results, all the hard work will make all the trouble worth it. Though experience on cloning is an advantage, newbies can still be successful with a bit of patience and knowledge. So, refer to this article to get guidance on how to go about this method. With enough practice, we will gain the confidence to use it as often as we want to get as many quality buds as possible. Oh yeah. The strain was "Oldtimes", an underground UK strain. I have never had very good luck with taking clones from a flowering plant, but maybe I have gone beyond the 3 week mark. The article makes me want to give it another shot though. Monster Cropping over here on the west coast of the us is a totally different thing, which incorporates LST, Super-cropping, SCROG, and in most cases DWC Hydroponics all used together. This article , like the rest I've read so far is awesome. This is something i haven't read about, and I've read alot. So glad to have found this site.Keep up the good work and thank you for the information. hey weed man--you are not a part of this organization are you? Have you free loaded all your life? I have 3 nicely rooted folwered clones. Do I leave the apex bud there? Do I need to remove it for re veg? Anyone know how/if potency is affected? Can you monster crop autos?? This is the best thing I have read all a long. Before I read this I started doing it on my own and boy is it true. Hi Keith, glad we could help! Same here, I was told last year they gave this type of growing a name. I do the same thing this person does but I do it in a little different way...Works like a charm. Does this require a second tent? Or do you revert everything to 18/6 including the flowering mother? derold, It is a matter of choice whether or not you use a 2nd tent to keep plants in perpetual veg 18/6. It is a good idea to keep the mother in a separate space. bradah willz. Sorry. That is bad advice. Should not clone late in flower. Thanks for the awesome tips Robert,and happy b-day!